Some stories just grab your heart and demand to be shared. Dream of the Water Children is one of those special books. 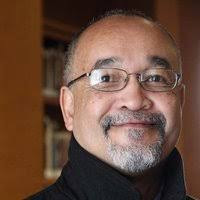 Author Fredrick D. Kakinami Cloyd was kind enough to share some thoughts about his new memoir that I hope will inspire you. 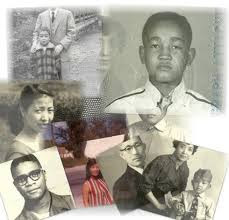 Fredrick was born in a small town west of Tokyo to a Japanese mother and an African American serviceman father stationed in Japan during the Korean War years. 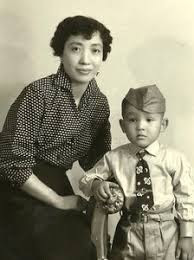 His father finally was able to return in 1963 and brought Fredrick and his mother back with him to the United States. Fredrick grew up with a foot in both worlds — a “cultural drifter,” as he puts it, not entirely at home in either Japanese or American culture. 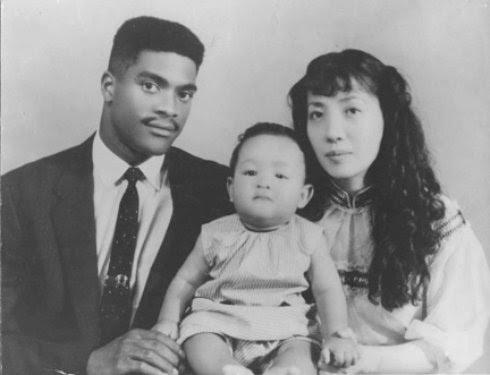 Fredrick’s American father, Japanese mother, and himself as a baby. Fredrick’s journey to complete his memoir spanned more than 30 years, with lots of “bumpy starts and stops.” He finished the first draft of his manuscript while living in a homeless shelter in San Francisco, and later completed his Master’s degree at California Institute of Integral Studies. He became a serious practitioner of Zen Buddhism, spending years in a monastery. And he’s been head coach and director of several highly-ranked Junior Olympic volleyball clubs. His lyrical memoir is finally out — just published by 2Leaf Press and distributed by University of Chicago Press in April 2019. “My book wasn’t just about me,” he says. “It was about all the water children.” Stay tuned, and he’ll explain. Q: What made you decide to write your memoir? Did it help you come to peace with some of the difficulties you’ve lived through? A: Well, it was an organic process that came in steps. I had the idea to “perhaps” write a book on my family history, back in 1983. I kept taking notes on conversations and memory here and there, and attempted a few times through the decades, to write the book. I had another name for my book, and decided it was too “victim-oriented” and I wanted something different from the regular memoirs I had read at the time. But I didn’t know what this “something different” meant or what I was going for yet. It wasn’t until 1997 or so that I started writing in earnest, when some friends of mine in Seattle, where I lived at the time, urged me to take myself seriously. They even set up a time for me to give a public presentation. I thank them profusely now. They recognized the potential of a book from me before I did. At heart, I felt unready — not shy or unconfident, but that the form I had been thinking about wasn’t quite right. There were times in the writing that were harrowing, when I wrote through tears. From 1983 to the 2000s it was starting and stopping, reflecting, re-writing. But in the mid-2000s, I finally sat down and wrote the final form of the manuscript I would query publishers with. That was an intense process of focus, with some welling-up of tears and happiness at the same time. In the end, I would say that the entire decades of writing did help me to heal. Some memories came back that I had forgotten or repressed. Some memories were embedded so strongly in my body-mind that I was glad to write them out. I struggled sometimes with structural and language issues, getting the right language, feel, structure, and also the timing (how and when the ‘event’ or memory would show up in my book). The question of why I’m writing about a particular event for a public to read, that was the biggest concern with everything I wrote in the book. Fredrick and his mother, circa 1960s. That was healing. It was a great catharsis, and not just for the little boy in me that needed to confront childhood trauma and the ongoing adult traumas that we men are “supposed to” hide and get over in the United States. It was healing also on the level of why I was writing the book — which is for issues of social justice to be touched and introduced and engaged. For me, this is the interplay between myself and the reader in the book — and what I’m hoping will be some of the take-away that readers get. Q: I love your title, it’s so evocative. What is the reference to ‘water children’ about? A: Several things went into this. In the 1980s I was thinking about a different title for the book — but it was more what I felt to be victim-oriented, a kind of “me and my mother against the world, time, and history” thing, which I needed to get away from. I wanted it to be more reflective of my hopes. Those hopes were not about everyone coming together and singing “Kumbayah” together and loving each other. That kind of romanticized notion of “peace” would be a disservice to myself and others who understand life to be diverse, and thus multi-faceted and too complex for there to be some unified living-together without problems. Instead my vision of peace was more about how to live, how to negotiate across our differences as persons, communities, genders, ages, various sexual and racial and national identities, and about facing our histories and power relations. So in the end I decided my “memoir” would be more of what I call an “anti-memoir.” As I sat down with all this and thought about the title, I couldn’t immediately come up with anything, and went to bed. In the middle of the night, I came up with this title. This story is actually told in the beginning of my book. The title comes from a Japanese term, mizuko. Its characters mean “water child” or “water children.” It is a common name for females in Japan. But also, and more to the point, it is a term that was used in the postwar period for an aborted fetus, or dead fetus. Sometimes it is also extended to dead young children. And it is also sometimes used to refer to the mixed-race babies fathered by American and Australian soldiers and other Allied Occupation forces in Japan who were aborted or killed after birth by mothers, relatives, neighbors, etc.. As people might not know, there was an abandoned gravesite discovered in Yokohama prefecture in the 1990s, which contained over 800 mixed-race babies that died of starvation, killing, disease, etc.. That was just in one city. So one can imagine how the statistics that we see today about the numbers of mixed-race babies born in Japan from 1945 to 1955 are not accurate. There are religious ceremonies (primarily Buddhist) that have special temples, shrines, and ceremonies connected to water children. There are also Japanese Buddhist statues depicting the guardian of the young, which is also connected to this concept. During the occupation, the United States prohibited all indigenous religions in Japan. For grieving mothers who had lost or aborted a child, it was a relief when these ceremonies were finally allowed again. So my book is a dream for the world that the babies in the other world (the dead) would conjure and wish for. It’s a wish for better understanding and new ways of thinking through our issues in the world, towards something better. It is also an acknowledgment that we, as humans, care for the lost dead children. So thus, the title. It came in a dream. Q: You are fortunate to have University of Chicago Press now as your distributor. Do you have any advice for other memoir writers who might be seeking a publisher? A: Don’t depend only on queries! I initially sent out about 10 to 15 queries to various publishers, asking if they might want to publish my book. About seven wrote back. The others never replied. All seven rejected my manuscript. I wasn’t sad. I was expecting this to happen. It happens with all authors to one degree or more, and especially with books written by people of color. Cultures differ and the way we express ourselves may not fit into the mold of the largely white establishment that controls the language and structure of what gets out and how and when. The criticisms that they had on my manuscript were actually not a surprise. All of them said: “Your manuscript is beautifully written but we don’t know what to do with it because it doesn’t seem to fit into an established category.” Of course I was miffed, but not surprised. But out of the blue, a publisher I had not heard of before contacted me. She said she was interested in my book after reading my online posts. She had read some of my excerpts and blog posts on different sites. 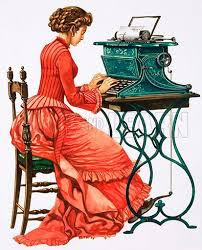 So if I have any worthwhile advice for writers of memoirs, it is to put yourself out there online. In my case, it was solely from creating my blog and also writing on other sites about my identity as a mixed-race Japanese, a military “brat,” and about my blackness — it was my work and interviews online that attracted the publisher. Q: Do you have any advice to share with other memoir writers? Any suggestions about the writing process? A: I think the main thing I can say to other writers is to not be so concerned about your writing process, and to do what you think would work and be willing to experiment. I did not attend writing classes or anything like that, though I did belong to a couple of Asian-American writing groups that helped me for awhile. Then they became what I felt to be ridiculous and so I left them. I had to believe in myself. It could take a year to finish your memoir, or three decades, like my own process. Trust yourself, but make no excuses when it comes to intention. Sometimes intention goes underground and it is important to be sure you know what it is. Our stories and memories will come out differently depending on *why* we are writing our memoir. For me, it was about social justice. So I needed to learn about how to express myself towards that goal without sounding like the “good vs. bad” moralizing that kind of dominates social justice writing — which I do *not* agree with. My point is that we have to think about the why’s as well as the how’s a bit. Don’t expect it will come out perfectly at first (remember, I took three decades). Just continue to hold your book in your heart and write on it when you can and feel like. Don’t hold back or censor or edit until you have the bulk of the book or the entire first run completed. Censorship can ruin things. Afterwards, we can edit. Censorship often plays into perfectionism and fear, and I notice that in alot of memoir writers *before* they even begin. Just do it! Hopefully this helps. Photos used with permission, courtesy of Fredrick Cloyd. I was so excited to “meet” this memoir author on Facebook recently, and wanted to share her story and tips with you! Hope it inspires your own memoir writing. Author Fran Macilvey has not just one inspiring memoir book under her belt, but three. Her first book, Trapped: My Life with Cerebral Palsy, a gold medal winner, was an Amazon international bestseller after its release in 2014. And Fran kept on writing. Her second book, Happiness Matters, followed in 2017. And she’s just come out with a third, Making Miracles — a joyful journey of self-discovery and a guide to finding happiness and fulfilment even after a lifetime of mistakes. Fran kindly shared a Q&A with us. 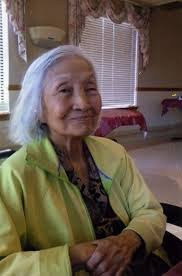 I hope you’ll be inspired by both her personal journey and her sage memoir-writing advice! A quick introduction: In 1965, Fran was a miracle baby — an entirely unexpected and premature one. Fran made her surprise debut in the Congo, where her father was serving as a Belgian diplomat. Although Fran’s mother knew she was pregnant, she had no idea she was actually carrying twins. By the time doctors arrived, Fran — the second and unexpected twin — had suffered permanent damage. She entered the world with a battle on her hands. She had cerebral palsy. Luckily for her readers, Fran’s painful early life launched her on a journey of introspection and eventually joy. And, oh yes, along the way she also became a lawyer, practicing as a solicitor for ten years. 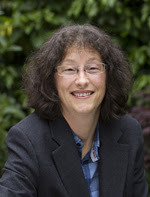 Fran now lives in Edinburgh, Scotland with her husband and daughter. And she’s still writing books, with a trio of novels about women and their encounters with the law currently in the works. And now, here’s Fran’s great Q&A! Q: Your first memoir, Trapped, tells the poignant story of your early life and what it was like growing up with a disability. How did you get started writing your first memoir? A: I decided, one day, simply to sit down and type. It wasn’t as easy as it sounds. My daughter had started school and I had time, so I basically ran out of excuses. I started by writing the first thing that came into my head – a scene of my parents at a party in Congo – which I more or less wrote as it came to me. When my father read an early draft of Trapped he made some really helpful comments. I guess if I were to offer your readers any suggestion it would be to start anywhere – beginning, middle or end. Your work will take you where it wants to go, eventually. Enjoy the journey. Q: And then you wrote Happiness Matters. What did you learn in writing Trapped that got you interested in writing a sequel? I wound up actually writing Trapped and Happiness Matters at roughly the same time, which helped me to finish both books. I would have quit writing Trapped – it was so hard – if I hadn’t constantly been reminded that happiness matters. Ultimately, I finished writing Trapped because I knew that achieving that would make me a happier person. Q: I love your most recent title: Making Miracles — what will readers find in the book that might be helpful in their own life? A: I’ve kept a dream journal for about twenty years and it has become increasingly clear to me that when we listen to our dreams, record them, and re-read them, we can learn a lot about how life works, what it’s for, and about particular messages that will help us. The examples I have shared in Making Miracles are those that I hope have a wider resonance. Realising that there is a lot of help available to us, and that we can ask for it anytime, helps us to live life more bravely and with purpose. Q: Tell us a little about how you got your books into print. A: My first book, Trapped, is published by Skyhorse, a mainstream publisher based in New York. The next two I published myself because, by the time I came ‘round to write them, my commissioning editor had moved on. That happens a lot. Q: What advice in a nutshell do you have for people wanting to write their own memoir? A: We should aim to be as honest as we can – not cruel – and we should try to write only our own story. Where we have to borrow from the lives of others, we should try not to trespass on other people’s ‘life-lines’ more than absolutely necessary. I make a distinction between early drafts of a memoir, which are essentially private affairs in which we may have to write down everything about everyone without apology; and much, much later drafts that we hope might be read by other people. The first part of writing everything down is valuable therapy, perhaps; the later version is cooler, a more-presentable version that others may find interesting. Family members in particular, deserve their privacy. In the final versions of what we write, we can offer that privacy and still tell the truth about our own lives. We can be respectful, and it helps when we are at least as hard on ourselves as we are on others. A life story should have enough going on in it so that we don’t need to dramatize or exaggerate. And if not, we go out and live some more! Find Making Miracles and Fran’s other books here at Amazon.com! Starting to write can feel like this. Awkward. Uncomfortable. Totally unfamiliar. And like everyone else is better at this than you. Just close your eyes and dive in. Remember any words you write can be fixed up, corrected, and changed later. But a blank page can’t be edited. So pull out a pen. Top off your coffee. Take a deep breath. And begin. Maybe you already know where you want to start. Maybe you have no idea — you just know you want to write. Start somewhere. Write about how not-knowing feels, if that’s where you are. Think of facing that blank page as a form of mental yoga. It’s a discipline. It’s a spiritual practice. And you get better at it as you go along. Everyone loves a good love story. And love stories make an especially wonderful addition to a life story or memoir! Or the accidental meeting that brought your parents together. Everyone has a great love story to tell – what’s yours? This Valentine’s Day, add that special love tale to your memoir! Like more tips, prompts, suggestions and encouragement to fuel your memoir writing? We send out free tips once or twice a month. Just tell us where to send ’em! here. Life isn’t humor-free. Don’t forget to capture those silly, awkward, and downright hilarious times in your memoir, too! What pranks did you play on friends and family — or got played on you? Tales of our days as little angels aren’t nearly as much fun to read as those about the times we were little devils. Drop a line on Facebook and let me know what funny stories you remember! For us memoir writers, the small stuff really is the big stuff. Great stories often spring from really humble things. Mom’s pin-cushion, always at the ready to mend a tear, re-attach a button, or stitch up a hem. The smell of baking bread from the kitchen. The flat stones by the ocean that you learned to skip on the waves. The hayloft where Grandpa caught you reading instead of doing chores. What simple things were ever-present in your early life? What stories do they bring to mind? Drop a line on Facebook and let me know what you remember! Let’s face it: we memoir writers are a sensitive lot. After all, this is our life we’re writing about! What if no one likes it? What if someone says my writing’s no good? What if I piss off Great-Aunt Martha or that grumpy uncle who shows up at our house at Christmas? Worse yet, what if I can’t think of anything to say after page one? And besides, no one’s going to want to read it when it’s done. Right??! It’s so easy to let those fears bring us to a screeching halt, right in our memoir-writing tracks. So how do you turn fear into fire? They’re so close, after all! “Fear” and “fire” — just one letter different! And nervous you’ll run out of stories? Use “nervousness” as a prompt. When have you felt nervous or fearful? When did you manage to overcome those fears? What leaps of faith have you taken? Whether you soared to success or fell flat on your face, those are all great stories! After all, some of the greatest stories of all are about picking ourselves up and finding the courage to continue our journey. As for family critics? Remember you can’t please everyone. That grumpy uncle — he doesn’t need a copy. Here’s more help to take your Memoir from STUCK to FINISHED! Check it out at Amazon.com! A memoir leaves a legacy like nothing else. We’ve helped produce dozens of oral histories. But we wanted a way to help people eager to write their own memoir — or perhaps finish one that’s been languishing in a box or a desk drawer! And voila, our latest book was born. “Writing a Memoir: From Stuck to Finished!” by Karen Dustman is filled with practical tips, helpful exercises and suggestions, warm encouragement, and most of all, the voice of experience from someone who’s “been there and done that.” The goal is simple: to help you finish that oral history or memoir you’ve been dreaming of! Looking for some great tips to help you write your Life Story or Memoir? Try these six tips from the summer issue of Calaveras County Genealogical Society’s newsletter! Everyone has a great story (or three) to tell! And for more in-depth help, check out our new ebook, “Writing a Memoir: From Stuck to Finished” on Kindle!